Chaco is a brand and retailer or outdoor sandals and other footwear, based out of Paonia, Colorado, United States. The subsidiary company sells its range through several of its own branded stores, licensed third party retailers, and through their online store at Chacos.com. It is currently owned by the Wolverine World Wide corporation, which also owns Sperry Top-Sider and other footwear brands. Shopping online is always a good option because they run many offers and deals. These are redeemed with Chaco coupons, a list of which we keep up to date here at Coupofy. Shop through us and you'll always make savings. Chaco was founded in 1989 with a small range of high quality sandal designs. Over the years they introduced more and more designs, and have since expanded in to other footwear and accessories. The online store first went live in 2002, and in 2009 the company was acquired by Wolverine World Wide Inc.
Mark Paigen currently serves as President of the company, which is believed to make over $9 million in year revenue. if you are shopping online check out our up to date list of Chaco coupons, which can be redeemed for discounts and other special offers. 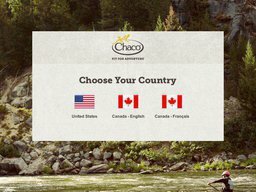 Chaco's footwear caters to Men, Women and Children, and if you shop online you can also create custom designs unique to you. Simply click the Custom page and you will betaken through several steps that allow you to choose from hundreds of different style elements and colors. The Chaco range includes Sandals, Flip Flops, Casual Shoes, and Boots, and these can be easily browsed via the online categories. You can also use the search bar if you have something specific in mind. Product listings can be refined based on shoes size, style, color, popularity, and other parameters; and product pages feature user ratings and reviews, so you are sure to find something that suits you perfectly. Chaco also sell Accessories, such as Belts, Bracelets, and Dog Collars. Our selection of Chaco Coupons 2015 can be applied during the checkout process to make savings on all products. At this moment in time, the online store accepts a good amount of payment options, including most major credit cards. With this in mind, customers can go ahead and pay for their products via Visa, MasterCard, American Express, Discover and more. PayPal is also a great choice for both U.S. and international customers. In order to redeem a Chaco coupon code you must enter it in to the promotional box on the basket page. If entered correctly you will see a confirmation message and your total order cost should drop. In terms of shipping, there are a couple of methods currently accepted and these are Standard FedEx Home Delivery (2 to 6 business days), Express FedEx Two-Day Delivery (2 business days) and Overnight FedEx Delivery (1 business day). All of these methods come at different prices, charged based on delivery speed and the size of your order. To find out how much it will cost you, add items to your basket, enter a delivery address and choose your desired shipping method. From time to time there will be free shipping offers and other Chaco deals, which you can find in our list of Chaco coupons. Merchandise and products that are unworn can be returned within 45 days of the original purchase date. Any signs of wear will result in the claim to be denied. Items which are being sent back should also have all of the original tags attached. Return labels are provided and customers will not be charged for the items that they are sending back.